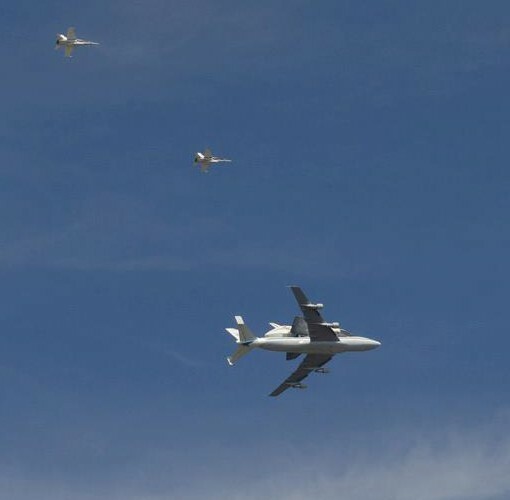 A few minutes ago the space shuttle flew directly over our offices here in Pasadena. Well, that’s not something you see every day. Better pictures to come, but here are some phone pics in the meantime.